The final figures for the 2013 tourism year are in, and we are happy to report that Belize’s Overnight and Cruise arrivals are up! Last year Belize recorded 223,510 in PGIA arrivals. March 2013 saw the highest tourist arrivals at the Philip Goldson International Airport (PGIA) with 28,623 visitors; this is a 10.2% increase in comparison to March 2012. The month with the largest increase in 2013 was August, with a 10.5% increase when compared to August 2012. 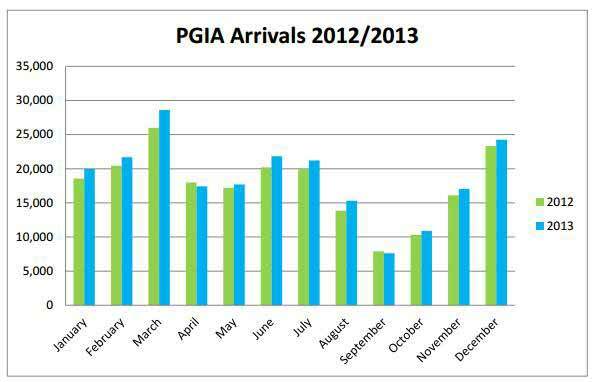 While there were 3% decreases for April and September, overall PGIA arrivals are up 5.5%. Preceded by a decrease in cruise arrivals in 2011 and 2012, 2013 saw an increase in cruise visitors to Belize. Overall, Cruise passenger arrivals grew by 5.7%. 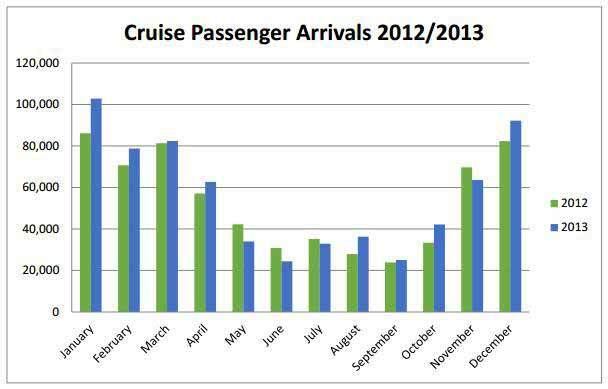 August 2013 saw the largest increase in cruise arrivals, with a 30.2% increase over August 2012. Belize recorded the highest cruise arrivals in January 2013 with 102,871 visitors, which is a 19.4% increase over January 2012. In 2013, a total of 677, 350 cruise passengers visited Belize. 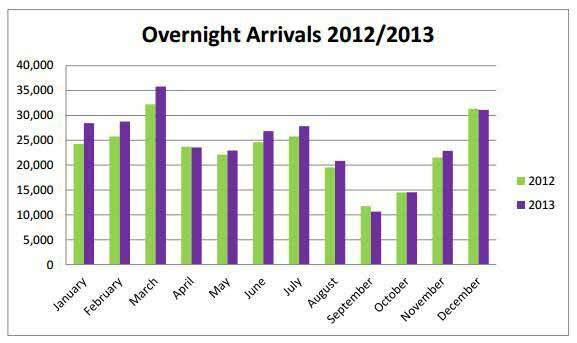 Finally, overall overnight arrivals for 2013 saw a total 6.1% increase, with record high numbers in January, February, March, May, June, July, and August. The month of March saw the most overnight arrivals, with 35,795 arrivals, which is a record high for Belize. March 2013 had an 11% increase over March 2012. The month with the hightest increase when compared to 2012 was January 2013. There was a total 17.2% increase. The total number of overnight visitors for 2013 was 294,177.